We are excited to welcome our newest community partner, Canadian Tire Jumpstart Charities, to the CDPP Team. 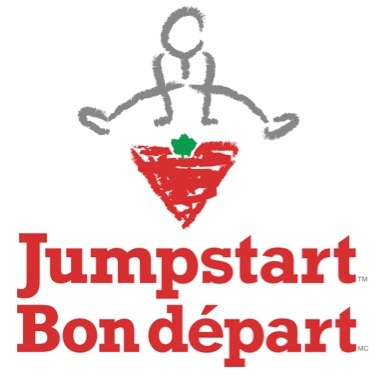 Jumpstart is a national charity whose goal is to help children overcome accessibility and financial barriers to participation in sport and recreation to promote inclusive play for children of all abilities. With a project currently underway with the Sport and Exercise Team (described next) this partnership provides opportunity to enhance physical activity participation for young Canadians with disabilities. The researchers from the Sport and Exercise Team, with the support of Canadian Tire Jumpstart Charities, have been working on a National Physical Activity Measurement (NPAM) study to gather population-level data on the movement behaviours (i.e., physical activity, sedentary time, and sleep) of Canadian children and youth, ages 4 to 17 years, with any type of disability. 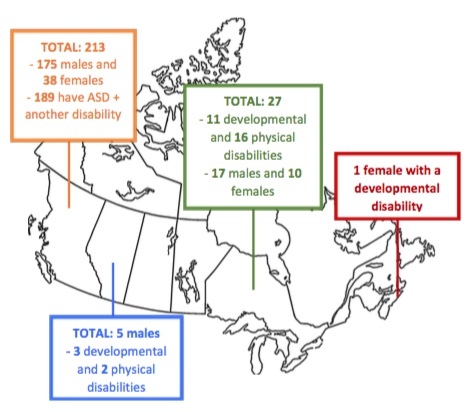 These data are critical for developing effective evidence-based policies and programs to serve Canadian children and youth with disabilities. Canada-wide recruitment has resulted in 246 participants and data are being collected using Fitbit® and accelerometry technology, surveys, and interview techniques. Our NPAM team is actively seeking families to participate in this research study. If you have any questions about the research please feel free to get in touch with the Principal Investigator, Dr. Kelly Arbour-Nicitopoulos, at kelly.arbour@utoronto.ca or at 416-978-2725, or the Research Coordinator, Ms. Ritu Sharma, at ri.sharma@mail.utoronto.ca. 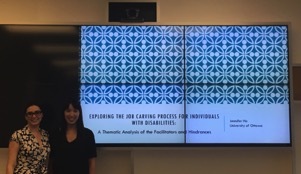 Jennifer Ho (pictured right, with her supervisor, Silvia Bonaccio on the left) successfully defended her Master's thesis Exploring the Job Carving Process for Individuals with Disabilities: A Thematic Analysis of the Facilitators and Hindrances. Jennifer earned her MSc from the Telfer School of Management (University of Ottawa) supported by the CDPP Employment Team, and is beginning in the PhD program at the DeGroote School of Business (McMaster University). Her abstract and thesis are at https://ruor.uottawa.ca/handle/10393/38042. 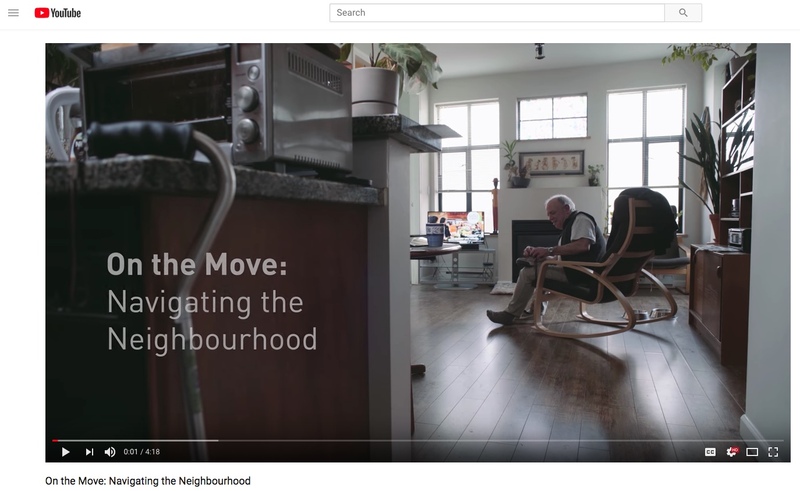 On the Move: Navigating the Neighbourhood is the last video of a series of 3 from the Mobility Team’s research Enabling Mobility and Participation Among Those with Disability (dEMAND). It highlights the important issues faced by mobility device users in Vancouver. We follow two participants on their journeys to understand the positive actions that have been taken to make Vancouver a more inclusive community, as well as the areas still needing further improvement.